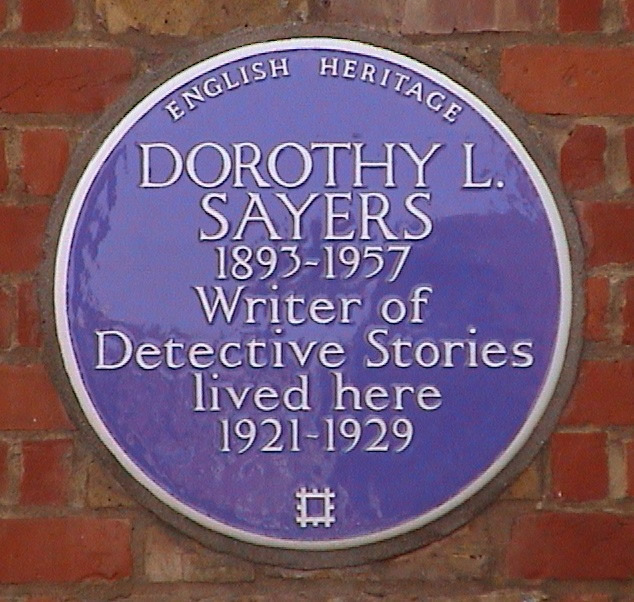 Dorothy L Sayers, 1893 - 1957, writer of detective stories, lived here, 1921 - 1929. Unveiled by P.D. James in August 2000. Our photo of the house seems to have caught the local street sweepers convention. 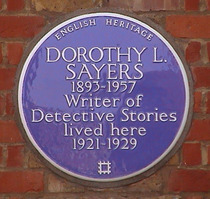 Sayers described her flat here, as "a delightful set of three rooms". While living here she published her first novel "Whose Body?" which introduced Lord Peter Wimsey.